(File pix) In a statement today, Westports Holdings Bhd says this was mainly due to provision for the normal corporate statutory tax rate, higher depreciation charges and finance costs arising from the recently completed container terminal 8 (CT8) and CT9 expansion in 2017 and higher manpower expenses. 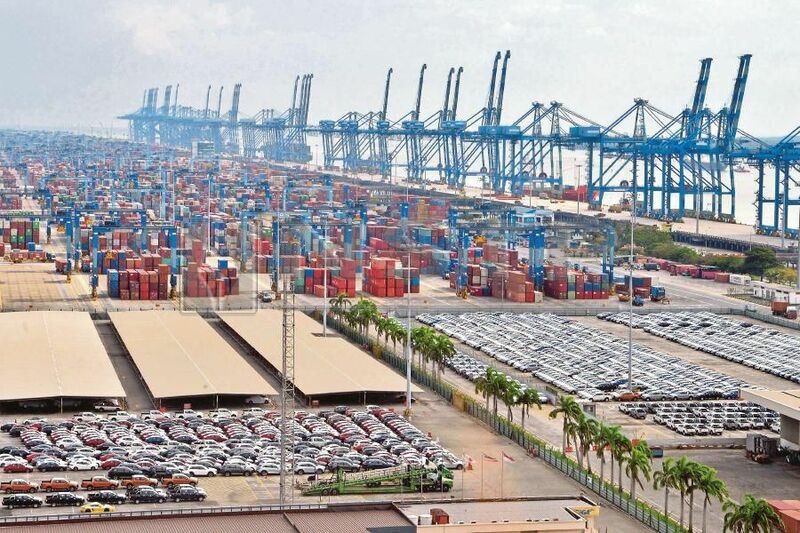 KUALA LUMPUR: Westports Holdings Bhd’s net profit for the third quarter ended Sept 30, 2018 (Q3 2018) dropped to RM142.32 million from RM150.82 million in the same quarter in 2017, following lower effective tax rate due to claim of investment tax allowance in the previous period. Revenue declined 15 per cent to RM417.55 million as compared with RM492.28 million previously. For the nine-month period, net profit declined to RM387.9 million from RM440.5 million in Q3 2017. In a statement today, the company said this was mainly due to provision for the normal corporate statutory tax rate, higher depreciation charges and finance costs arising from the recently completed container terminal 8 (CT8) and CT9 expansion in 2017 and higher manpower expenses. Concurrently, revenue dropped to RM1.197 billion from RM1.515 billion previously, mainly attributed to the adoption of Malaysian Financial Reporting Standards 15 (MFRS 15) from Jan 1, 2018. Total container volume increased strongly by 14 per cent in Q3 2018 against Q3 2017 as strong domestic economic activities spurred gateway volume’s momentum further as it increased by 19 per cent. Meanwhile, transshipment volume also posted the first quarterly increase after five consecutive quarters of declines as containers handled in this category increased by 12 per cent to 1.58 million TEUs (twenty-foot equivalent units. For the nine-month period, Westports handled 6.95 million TEUs of containers and achieved an operational revenue of RM1.20 billion. Group Managing Director Datuk Ruben Emir Gnanalingam said gateway container volume remained strong by registering an overall nine-month growth of 20 per cent as domestic economic growth remained favourable. “The Intra-Asia segment showed sustained momentum with growth of 12 per cent, increasing the trade lane’s contribution to Westports overall volume to 61 per cent,” he said. On CT expansion, Ruben said Westports had successfully bid for, and is now making instalment payments for the 154 hectares of land adjacent to CT9. The company is also evaluating the possibility of acquiring a second piece of adjacent land to facilitate the proposed expansion in the future. On the trade tariffs imposition by some major trading nations, he said the trans-Pacific and overall container volume remained favourable as there could be some front-loading shipments. “Nevertheless, global international trade has contributed much to unprecedented economic prosperity, but some fine-tuning may be needed to support the less well-endowed segment of the population. The economics of trade remained as the foundation and preferred paradigm for growth,” he said.